Job Opportunities for People of Diverse Communities and Backgrounds. Since 1992, LEN has been helping individuals reach their full potential in their work lives. LEN offers jobs and on-the-job training to individuals interested in pursuing careers in property management. From the entry level position of front desk clerk, promotion to lead desk clerk, assistant manager, property manager, resident services coordinator or other administrative positions becomes a likely career path. Karen graduated from LEN in 2009. 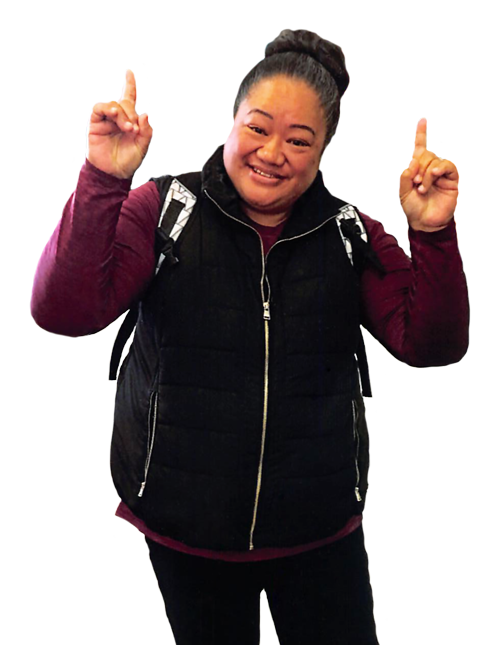 During her training, she did an internship at the main office of Mercy Housing, after which she was hired as a roving assistant manager and then became the assistant manager at the Edith Witt Senior Community. From there, she moved on to a property manager position and now she’s a senior property manager, overseeing two facilities; Vera Haile Senior Community and 55 Laguna, a LGBT community. Karen will soon manage a third property, 95 Laguna, another LGBT community. Here’s what some of our staff members have to say about working for LEN. To learn more about them and their unique backgrounds, click here. See the Job Description, Qualifications and the answers to some Frequently Asked Questions (FAQ’s) here.